You'd be hard-pressed to find someone who doesn't enjoy a relaxing day at the spa, and because of this, these facilities are more prevalent than ever. While spa treatments are a great way to get away from it all, they may also be able to help in your fight against acne - as many promote healthy, clear skin. However, finding a treatment that works for you is not as simple as choosing the first thing you see. If you play it smart, though, you may just find something that works as a good supplement to your normal acne-fighting routine. Just remember however, these treatments DO NOT treat acne - they assist an acne treatment. 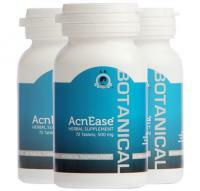 NOTE: AcnEase users see some excellent long term results when they use these tips. Here are four do's and don'ts to consider when choosing the right spa treatment for you. Light Therapy: Anyone who has spent a summer day in the sun knows that light can have a major impact on the skin. However, even artificially generated light can cause changes, and that's why spas across the country have begun to offer light therapy to address a number of different problems, including acne. However, light therapy is not as simple as just turning on a desk lamp and waiting for your zits to magically disappear-different wavelengths and different application techniques address specific aspects of a breakout. For example, blue light is a popular choice for reducing the inflammation associated with acne, although a combination of blue and red is sometimes used as well. Are you looking to destroy the bacteria that clogs your pores and spurs on breakouts in the first place? Then you'll need rapid bursts of light and heat energy, instead of one long, continuous exposure. Like most good things, light therapy isn't an instant fix. Instead, you'll need to schedule several follow-up visits to the spa in order to see real results. Microdermabrasion: Microdermabrasion is the perfect spa treatment for helping minimize the appearance of acne scars, but it's also great for reducing pores, wrinkles, or other skin blemishes you may be trying to hide. Most generally, microdermabrasion uses a small wand to remove dead cells from the upper layers of the skin in order to allow new, healthy ones to emerge. However, there are two options to consider when thinking about this treatment. The most common and oldest form of microdermabrasion uses a wand tip covered in aluminum oxide crystals, which are heated and blown onto the face. This technique causes dead cells to become loosened, which allows them to be suctioned off the face using the wand's vacuum. On the other hand, wands tipped with diamonds work like sandpaper, buffering off the dead skin cells, thanks to the toughness of the material. Regardless of the materials used, you should begin to see a reduction in scarring after a few microdermabrasion treatments. Spa treatments can get pricey very quickly, especially if they're popular and in high demand. So before you invest a significant amount of money in the process, be sure to compare the costs to the benefits you'll receive. Additionally, you may not even need a visit to an actual spa to pamper yourself and treat your acne! There are a number of DIY spa treatments you can try right at home that are likely to be less expensive but just as effective. Exfoliating masks are some of the easiest and most common of all the at-home spa projects. From raspberries, to pumpkins, and even cabbage, there are affordable mask recipes that can suit every skin type and leave you feeling rejuvenated and refreshed without emptying your bank account. But why stop at exfoliation when you can have the full-blown spa experience? A mini DIY steam room is only a pot of boiling water away! Bring four to eight cups of water to a boil and empty into a large basin. For a more aromatic experience, consider adding dried lavender or your own favorite herbs or essential oils into the mix. Drape a large towel over the back of your head and bring your face as close to the water as is comfortable for about five minutes. The steam from the water will begin to open your pores, which can help loosen debris clogs that can lead to acne. This approach may not be the same as spending an hour in a real steam room, but it can still make a difference-and it costs a lot less! Going to the spa is not merely a utilitarian activity. You don't just visit for skincare - you do it for the luxury and pampering as well, and there's nothing wrong with that! Even if you find that your spa treatment does nothing for your acne, it can still be an experience that boosts your morale and self-confidence, which are two important emotional aspects of the fight against breakouts. Even though your life may be dominated by acne, it's the only life you get, and it's important to enjoy and cherish it to the fullest extent possible. Spa treatments can help make that process easier. There's a reason that the phrase "everything in moderation" is so popular - because in most cases it's true! This goes for spa skincare treatments too. For example, exfoliation is a common procedure in many spas. When used sparingly, it's a process that can help remove dead skin cells, which allows newer, healthier ones to rise to the surface. However, frequent exfoliation can actually make your acne problems worse, since fast cell turnover can lead to irritation and inflammation. Similarly, microdermabrasion can leave your skin feeling raw and sensitive, so it's best to give yourself plenty of time in between treatments to recuperate. If you find it difficult to resist the allure of the spa, consider mixing things up every time you visit. Exposing your skin to a variety of different treatments increases your chances of finding something that works, but it also keeps things balanced and reduces the risk of negative side effects from any one given treatment.